The way he sees it, he has unfinished business in the grappling world, namely with fellow Brazilian jiu-jitsu star-turned-MMA fighter Kron Gracie. A member of one of the world’s most famous fighting families, Gracie submitted Tonon in an ADCC grappling match back in October 2013 and Tonon has long been interested in running that one back. These days, Tonon is making his way through the ONE Championship ranks while Gracie recently made a successful UFC debut with a first-round submission of veteran Alex Caceres. During an appearance on The MMA Hour, Tonon told host Luke Thomas that while there are a number of logistical reasons why he and Gracie can’t run it back, there was a brief window of opportunity where Tonon thought he might be able to face Gracie again, whether it was in BJJ or MMA. “I was dying for that,” Tonon said when the topic of a Gracie rematch was brought up. “Before I even signed for ONE, the first thing that I said was I wanted the match so bad. For years, I was asking for it in jiu-jitsu and then I kind of laid off because it was like, alright, it’s not gonna happen, then I saw him fighting in MMA and I’m like, well I’m going to get into MMA too. Let me see what I can do to drum up some attention and see if I can maybe get that fight as one of my first fights. Tonon still thinks it’s a “very real possibility” that they meet again in a grappling contest, though even that would require cooperation from ONE and the UFC, the latter promotion known to be far more stringent with allowing its athletes to dabble outside of the Octagon. “Could a grappling match between me and him, a rematch happen at any moment? Absolutely,” Tonon said. “As long as the UFC says it’s okay. I know ONE allows me to do other matches outside of ONE and they would even do the match in ONE. Tonon doesn’t have the cachet in the world of MMA to push a bout with Gracie yet, especially since the New Jersey native’s fighting career has taken place entirely in Asia, with wins in Japan, Singapore, the Philippines, and Thailand. But he sees the the moves that ONE is making as a sign that the promotion and its fighters are gaining traction all over the world. ONE has already signed former UFC champions Demetrious Johnson and Eddie Alvarez, names that would be recognized by even the most casual MMA fan, and that could mean Tonon fighting on home soil at some point. “I think that they’re moving in a direction where they could perhaps have events in the U.S. I don’t really know, I can’t say for sure. I can’t predict the future,” Tonon said. “But based off of what I’m seeing, the fact that they got a deal with TNT. The fact that they signed DJ and Eddie. All these things start to kind of suggest to me that they’re heading in the direction of expanding their map to not just Asia, but also the U.S., Europe, all of those things in the future. They’re hiring a lot of Dutch kickboxers and things too, Giorgio Petrosyan, I could see them going into a lot of different places other than Asia in the future. I just think that’s where they have their base and they’re doing a good job of expanding in Asia first and then we’ll see where they go after that. Tonon and Gracie represent the next wave of BJJ stars infiltrating MMA, a proud tradition that includes Gracie’s legendary father Rickson and uncle Royce, as well as modern luminaries Demian Maia, Fabricio Werdum, and Ronaldo “Jacare” Souza. According to Tonon, there has been a dip in the amount of pure grapplers willing to step into a cage, not only because of how combat styles and philosophies have adapted and changed, but because competing exclusively in BJJ has become more financially viable over the past few years. However, Tonon believes that if BJJ practitioners like himself and Gracie can continue to have success in MMA, others will follow. “I think that what you’re gonna see actually is as guys from jiu-jitsu have success, like myself, I think that will inspire other people from jiu-jitsu to start moving forward in that direction as well,” Tonon said. 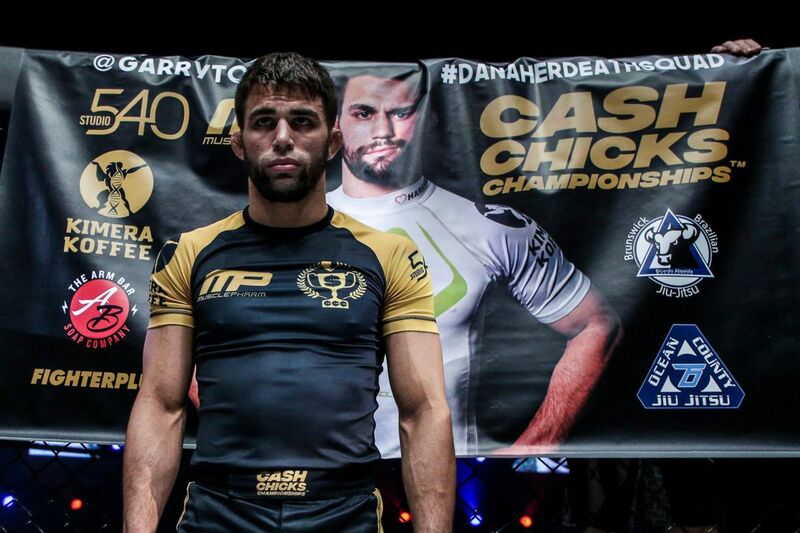 “I think that there’s been a lull in guys transferring from jiu-jitsu to MMA successfully for quite a while, so when people see other people do it, I think they’ll be more, ‘Garry Tonon did it, I can do it.’ You know what I mean? I see that happening a lot in the near future.